At EWMS we operate a revolutionary scrap metal weighing system that brings a new level of transparency to scrap metal collection. 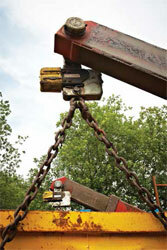 Many recyclers will take your scrap away and weigh it on their premises, meaning you have to trust what they say. Unfortunately this system is open to abuse – even fraud – and businesses lose millions in this way every year. We do things differently. We have invested in the latest technology that allows us to weigh your scrap in front of you BEFORE it leaves your premises. We’ll even print a time and date stamped receipt on the spot, which also helps you with your legal compliance. 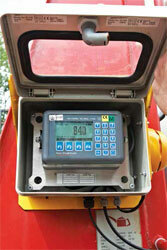 It’s also invaluable for ISO accreditation. We’ll work with you to look at your current waste policy, help you comply with your legal duties, and optimise your systems to make sure your scrap metal is handled as efficiently as possible. 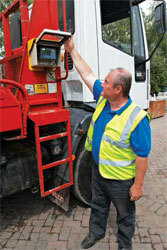 Our intelligent systems will monitor your scrap collections and work out how often your scrap needs picking up. This means we don’t waste time and money picking up your scrap when it doesn’t need to be, and ensures maximum efficiency. Our scrap metal weighing system is built on existing technology and approved by Trading Standards and the EU, and we think it’s the future of scrap metal collection. Our clients nationwide are already feeling the benefit of this system – contact us to find out how your business can too.